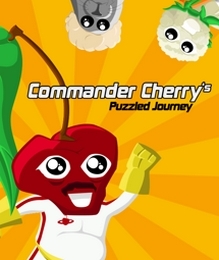 Commander Cherry’s Puzzled Journey was delisted from Xbox 360 in October of 2018 according to reporting from TrueAchievements.com. The game was likely delisted on PlayStation 4 around this time. Commander Cherry’s Puzzled Journey seems to have been delisted as the developer/publisher, Grande Games, appears to no longer be in business. Help Commander Cherry on his adventure and get creative with your body! You play the game using the PS4 camera and a gamepad simultaneously. Play solo or coop with a friend! Commander Cherry’s Puzzled Journey engages body and mind! The perfect game for streamers!